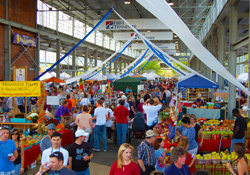 Named a “Top 10 Public Market in America” by Frommers, the Chattanooga Market is filled with handcrafted jewelry, artwork, fruits, veggies, and food trucks. For Mother’s Day, the market rolls out a selection of wines and champagnes, locally made chocolates, and live music. Prepare to spend several hours experiencing everything. If you can’t make it on Sunday, be sure to check out the River Market (Saturdays, 10 a.m.-5 p.m.) on the Tennessee Aquarium plaza. 2.) 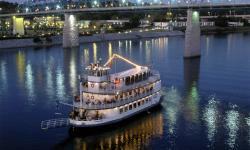 Southern Belle Riverboat’s Mother’s Day on the River: May 13, 1-3 p.m. & 6-8 p.m.
For a more relaxing journey, take a cruise down the Tennessee River aboard the Southern Belle Riverboat. 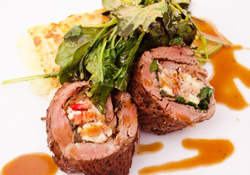 Treat mom to a two-hour cruise with live music, tours of the pilot house, and a delicious buffet-style lunch or dinner that includes prime rib and lemon basil chicken, tasty dessert, and a fully stocked bar for mom to enjoy her favorite elixir. 3.) Lake Winnepesaukah Mother’s Day Special: May 13, 12-6 p.m.
Let mom be a kid again and treat the whole family to an unforgettable time at Lake Winnepesaukah, the South’s favorite family amusement park. Just for Mother’s Day, bring a carload (up to five people) and pay only $100 for unlimited rides. Don’t forget to check out the paddle boats for a relaxing cruise on the lake. 4.) The Chattanoogan Hotel’s Mother’s Day Brunch: May 13, 11 a.m.-3 p.m.
With a fully-stocked buffet, locally-sourced salad bar, and desserts for any sweet tooth, the Chattanoogan Hotel’s Mother’s Day Brunch won’t disappoint. Go the extra mile and book mom a day at the spa to enjoy the Head-to-Toe package that includes a signature massage and complimentary glass of champagne. 5.) Back Inn Café’s Mother’s Day Brunch on the Bluff: May 13, 11 a.m.-4 p.m.
With a special spring menu of signature dishes and seasonally-inspired breakfast entrees, the Mother’s Day Brunch on the Bluff is not something to be missed. Be sure to request a table on the patio to enjoy the best views from the bluff. 6.) Enchanted Mother’s Day Lunch at Rock City’s Southern Blooms Festival: May 13, 1 p.m. This Mother’s Day, skip the restaurant waits and treat mom to an Enchanted Mother’s Day Lunch at Rock City’s Big Rock Grill. Enjoy a freshly prepared table-service meal while enjoying the beautiful melodies of a live harp performance. After lunch, learn about the history of the gardens and check out more than 400 different species of plants, shrubs, and wildflowers during the Southern Blooms Festival. 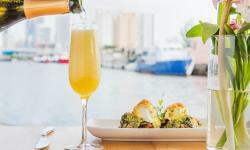 With a variety of boutiques scattered throughout the North Shore, high-end retailers like J. Crew and Anthropologie located inside Warehouse Row, and springtime deals at Hamilton Place, it won’t be hard for mom to shop ‘til she drops this Mother’s Day. 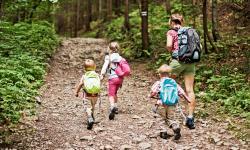 Stretch your legs after brunch and enjoy a family-friendly hike on Lookout Mountain or Stringer’s Ridge. 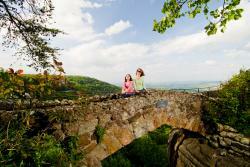 Take in the views of Chattanooga from above and maybe even find a few waterfalls along the way. If hiking isn’t for mom, stroll across the Walnut Street Bridge to explore Chattanooga’s vibrant districts and neighborhoods. To find more Mother’s Day events happening around the Scenic City, check out the event calendar.